Last year, EA Sports took its digital version of the sweet science to a whole new level with Fight Night Round 4. But you had to leave the house in order to play it. No longer. Doesn't matter where you get the game, it's pretty damned good, perhaps one of the best in the Fight Night series (although that's up for some debate that I'd probably lose). 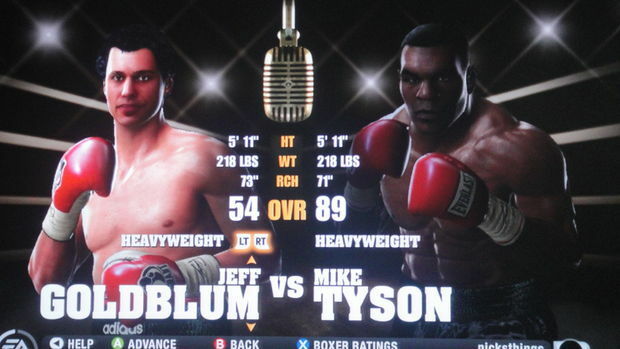 It's also the only game in which you can make Mike Tyson kill Jeff Goldblum. Think about that for a second.